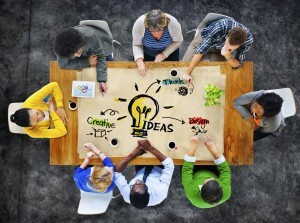 Earlier this week I wrote about ways to create an environment that fosters group brainstorming. Because the need for innovation is more critical to an organization’s success than ever before, I wanted to continue the conversation and write about some ground rules when planning a productive brainstorming session. 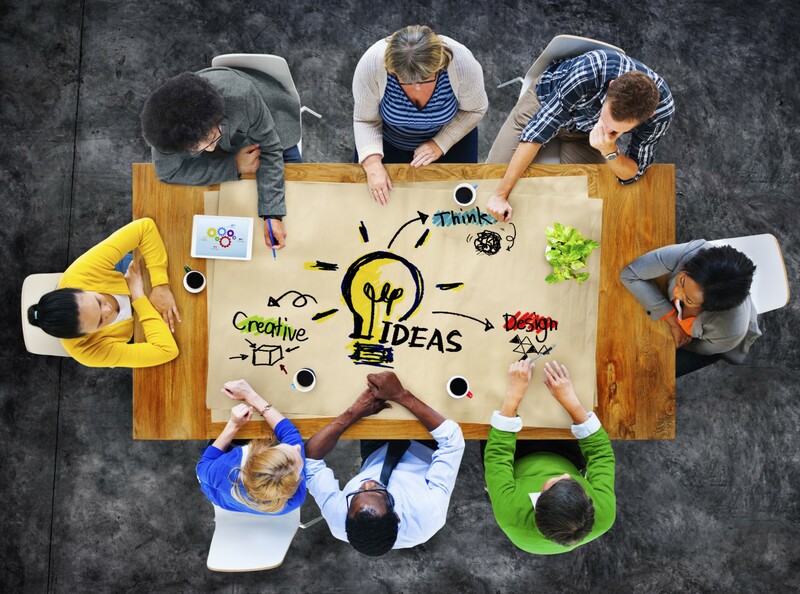 Brainstorming group sessions can easily become a feedback loop for the most outgoing people in your workplace. People who are comfortable speaking in front of others will be the first to offer up ideas. If the brainstorming session doesn’t include a way for the introverts to share their ideas, those extroverts might be the only people you hear from. To make sure everyone feels comfortable voicing their opinions, give people a way to share without having to speak in front of everyone. Allow people to send you emails or ask that they write down ideas throughout the meeting to give you later. Delayed ideas also give you a chance to digest privately and assess everything that was presented. Don’t settle for the first ideas thrown out – remember, good ideas take time. Another crucial step is removing fear of judgment by the group, particularly by people in positions of power. How many times have you sat on an idea because you were afraid that your boss wouldn’t like it? Or worse, that they would shoot it down in front of other people? As your team’s leader, it’s your job to create an environment where people know you are open to new ideas. Even a half-formed idea might be the stepping stone to the final project you choose. Announce the ground rule, “There are no bad ideas”. It’s a common refrain, but people need the reminder. Show your team you mean it – lead by example. Take care not to shoot any ideas down as irrelevant, or worse, as stupid (no eye rolls during the meeting). Start the brainstorming session by offering an idea yourself. No one ever wants to be first, so offering yourself as the sacrificial lamb will help ease people into it. Another way to start a productive brainstorming session (and help people relax) is to play a brief ice breaker. Try word associations. You pick a word, and the person to your left says the first thing they associate with it. Once you’ve gone around the table and everyone has had a turn, take the first and last words and find a way to associate the two. Another warm-up for brainstorming is to take a common object and come up with ways to use it differently. Anything to activate the creative part of our brains, much like a warm-up before exercise, can help everyone perform at their creative best. Finally, successful brainstorming takes time! Carve out sufficient time, put away cell phones and make a rule – no checking email during the session. You and your team shouldn’t feel rushed but you should also remove distractions so you can allow the creative process to happen. You’re there to generate the best ideas you can. Why not give it your patience and undivided attention?